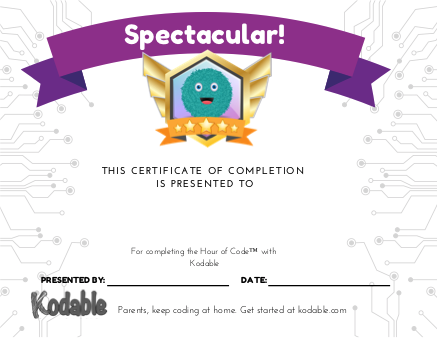 After completing the Hour of Code with Kodable, you can distribute a certificate for your students to take home. Students will be able to get a certificate after completing any of the activities in Kodable. Login to your teacher dashboard and download custom certificates with student names printed on them. Or you can download a blank certificate here.